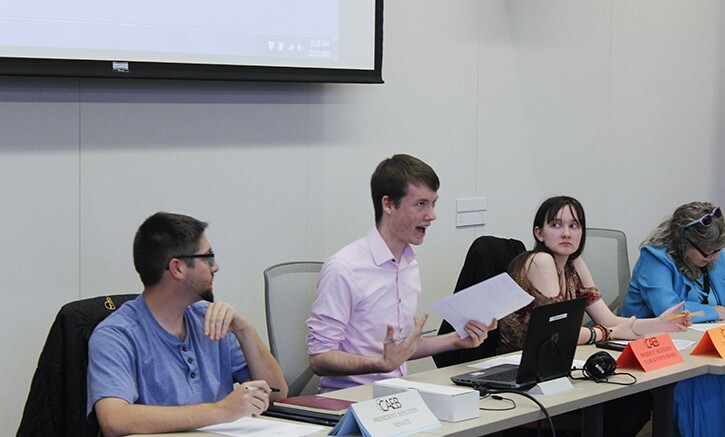 With the Under Wonderland themed Club Day set for Thursday, the Associated Student Body Clubs and Events Board spent its meeting Tuesday hammering out the exact plans for the event. The event will run from 10 a.m. to 2 p.m. in the quad outside the Student Center. There is a contingency plan in the case that weather causes the event to be moved indoors. The schedule for the event includes many Alice in Wonderland styled games. Kicking off the games, at 10:30 a.m., will be a croquet game. Following that will be a riddle game at 11 a.m. CAEB President Justin Nicholson will be dressed up as the Mad Hatter and set up a tea party themed area where the riddle games will be held. After the tea party riddle games, clubs and board members will be competing in a life-sized chess game that is doubling as the club competition. In the club competition this time around, there is an opportunity for more than one club to win. The clubs will be tasked to find 16 representatives for their chess team and if they are able to beat the team made up of ASB board members then all clubs involved will receive a monetary prize. Nicholson said since the board had leftover money from previous Club Days, the board thought it should give the money back to the clubs. The last game of the day will be a speed painting the roses red competition. The event will conclude with an open mic session before everything is broken down at 2 p.m.